We really liked our little apartment. It is in a quiet area a few blocks from the main street. The entrance to Tortuga Bay is close by. The upstairs room in particular was lovely - large, with hardwood floors, lots of storage and natural light. The pool was a perfect temperature and we had it all to ourselves. There are plenty of lounge chairs. The apartment is immaculately clean. The cleaning lady also did our laundry and returned it the same day! The fridge was stocked with water, beer, eggs and fruit - thank you! It was nice having a kitchen to eat breakfast early before going out. The owners are not on site but will meet you and give you information. Charles and Ximena are lovely hosts, attentive yet respected our independence in the cottage. They are very helpful describing the area and services on Santa Cruz and completely lovely people! They provided eggs, fruit and coffee and milk to get us started in the cute kitchen. House keeping was very thorough. Very clean. Lots of details were taken care of. Hot water, great pool, relaxing location. Great staff. It is a charming property at the edge of town, with easy access to Tortuga Bay (well, as easy as it gets at least - you'll see...). The rooms are quite comfortable (particularly the 2nd floor master) and very well maintained - they are thoroughly cleaned for a full hour every day, with new beach towels and bath towels awaiting you. It is without question the nicest of anywhere we stayed in the Galapagos. We had house 4 since we had five adults. Plenty of room to relax and unwind. Great amenities. Kitchen included dishes, eating utensils, cooking utensils, pots and pans, dishwashing detergent, staples like sugar and salt, tea bags, cocoa, et. al. Small appliances galore...toaster, waffle maker, blender, drip coffeemaker, hot pot. Laundry available..leave dirty clothes in basket outside of house and maid will do laundry. Outdoor grill available for use. Cooling down in swimming pool. Walking distance to main business district of Puerto Ayora. What a wonderful stay. Hosts Ximena and Charles couldn't have been more helpful or welcoming. Cottage is very well equipped and we arrived to find some basic food items all ready for us in the fridge. Nice touch. Beds are super comfy, the balcony with hammock a bonus, and the pool and common areas very nice. Location is excellent - just 2 blocks from everything but super quiet at night. Also loved the extra bonus of Rosita cleaning and tidying up every day - very thoroughly! The cottages are amazing. Superb for us as a family. 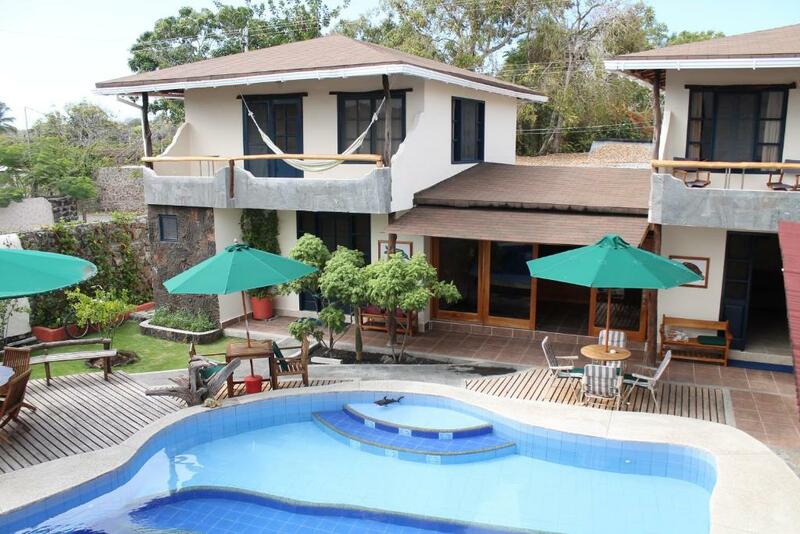 2 bathrooms, balcony, a kitchenette, a pool, and just a couple of other guests. Location was silent. There was no mold in the ACs, everything was clean and thankfully pet-free. We could have feather-free bedding and on my request they did not spray the fumigacion poison. There was some food (milk, eggs, etc.) provided in the fridge for the first morning. And the host was the best: All recommendations she gave for restaurants were excellent. And she organized taxis and a tour for us, which was excellent as well. Our complimentary pickup from the airport was arranged as well: A taxi driver picked us up, went with us on the bus, on the ferry and then drove us to Galapagos Cottages in his taxi. Everything! Great location, clean and quiet. The property hosts are wonderful and helpful with anything you could need. I hope to be able to return one day! The facility was lovely with a kitchen that allowed us to do some light cooking. Our hosted lightly stocked the kitchen with basics including milk, juice, eggs and cereal. They went out of their way to help us when one of our party got sick and we had to stay an extra night and rearrange all our international travel reservations. We would come back here and definitely recommend this to anyone coming to Santa Cruz. They were the BEST! Hosts are very nice. They organized our pick-up from the airport and were at the property when we arrived. 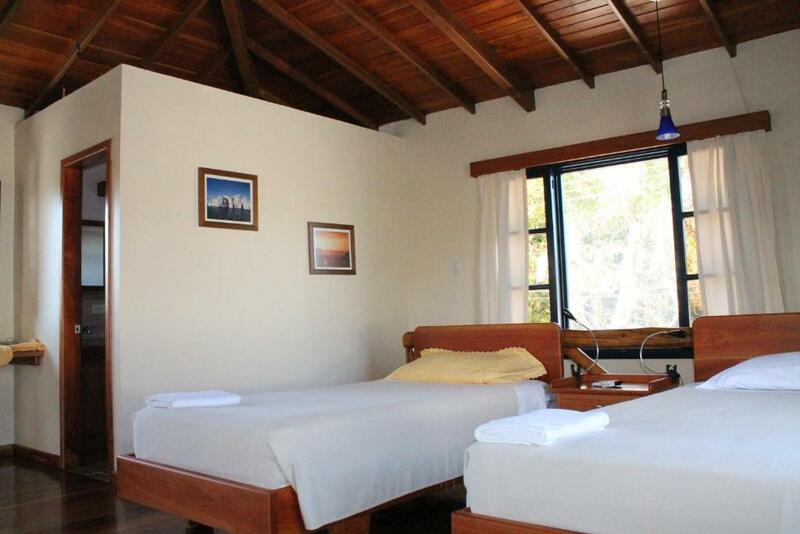 Galapagos Cottages is very conveniently located within walking distance of the main shops, tour operators, restaurants of Puerto Ayora. 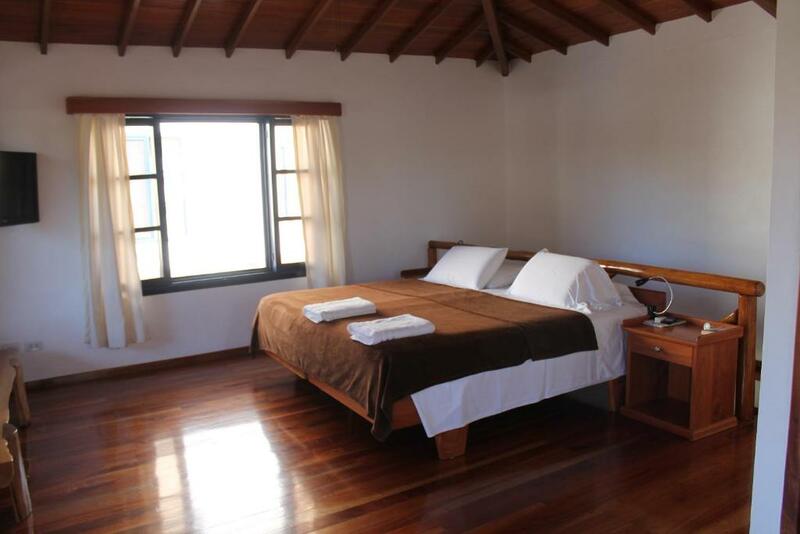 Lock in a great price for Galapagos Cottages – rated 9.7 by recent guests! One of our top picks in Puerto Ayora – and a guest favorite. 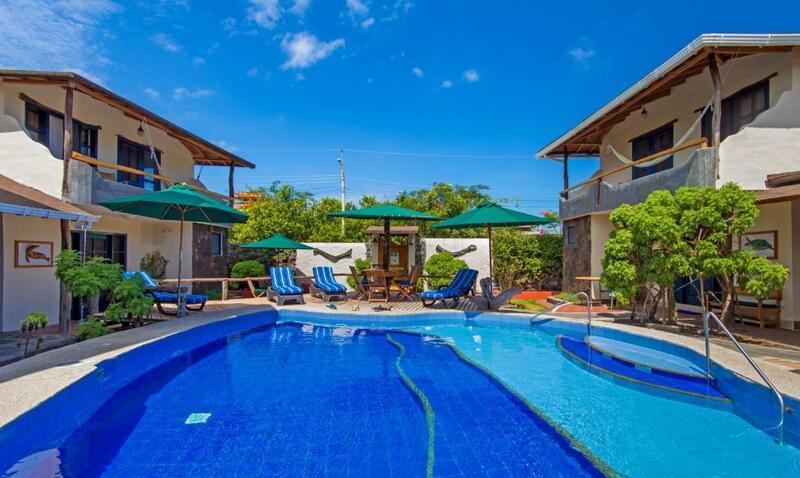 Offering an outdoor swimming pool, Villas Galapagos Cottages is located in Puerto Ayora, just 3 blocks away from the island's commercial area. Free WiFi access is available in this holiday home. 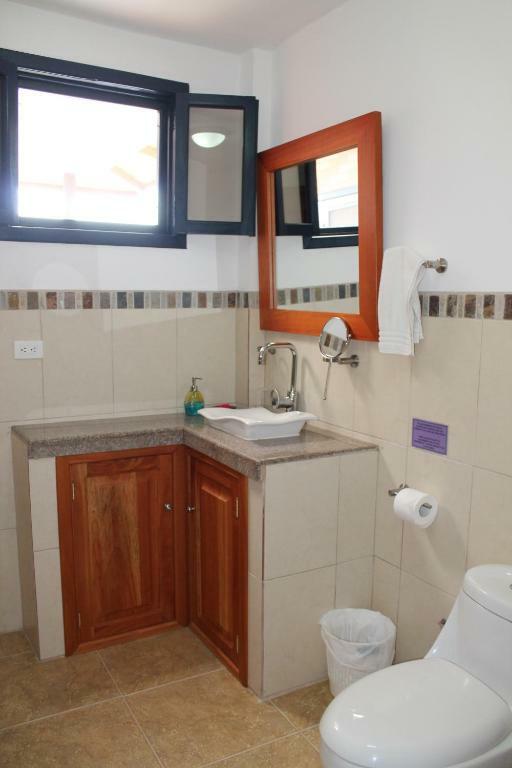 The accommodations will provide you with a TV and air conditioning.There is a full kitchen, with a microwave and a refrigerator, and a private bathroom with a shower and a hairdryer. You can enjoy a pool view from the room. 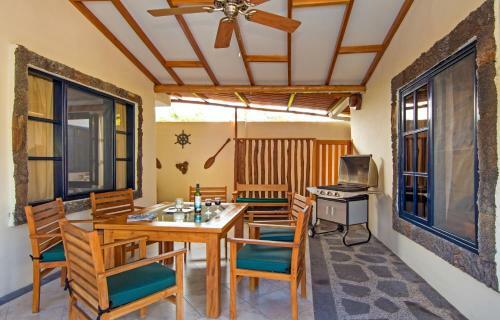 At Villas Galapagos Cottages you will find a garden and a terrace. The property offers free parking. Tortuga Bay beach is just 1.2 mi away, while Baltra Airport is 31 mi away. 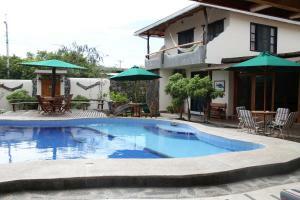 This property also has one of the top-rated locations in Puerto Ayora! Guests are happier about it compared to other properties in the area. 뀐 Located in the top-rated area in Puerto Ayora, this property has an excellent location score of 9.6! When would you like to stay at Galapagos Cottages? This holiday home features a balcony, toaster and microwave. Nosotros ofrecemos servicio personalizado y en especial nos gusta compartir con nuestros huéspedes. Soy 100% galapagueño, me fascina el lugar donde nací, soy amante de la naturaleza y mi hobby es pecar y disfrute de un delicioso pescado fresco. Nos encontramos ubicado en el Barrio Las Ninfas, es un lugar muy tranquilo, junto a las Cottages, se encuentra ya la zona del Parque Nacional Galápagos, por lo que nos encontramos rodeados de naturaleza. Además que nos encontramos muy cerca a toda la zona comercial turística de Puerto Ayora. House Rules Galapagos Cottages takes special requests – add in the next step! Galapagos Cottages accepts these cards and reserves the right to temporarily hold an amount prior to arrival. Please inform Galapagos Cottages of your expected arrival time in advance. You can use the Special Requests box when booking, or contact the property directly using the contact details in your confirmation. Great place and great hosts! Quiet and the pool was wonderful after a hot day. Basic Food and supplies were there for us on arrival and a car was sent to the airport to get us. Lovely little complex. Great for families and groups of friends. Just know that it is not in the main part of town - you will have to walk. This makes it quiet but you will get your exercise depending on where you are headed. It was not too far to the pier though. The downstairs "room" with a kitchen, a bed and a cot was okay for our teens but definitely not as nice as upstairs. It was a bit dark. But they didn't mind too much. Beautifully finished spacious 2 storey house with a fabulous peaceful pool. Great welcome pack from owners who have been excellent. A few blocks from town and great food. This place was perfect for us. We had 2 14 year old boys with us and they enjoyed it as much as we did. Very friendly welcome and stay. We arrived early and was able to have the apartment then. The place was incredible comfortable and exceptionally clean. Taxi arranged Welcome pack Lovely clean swimming pool with good sun loungers and chairs. The whole complex is very well cared for and tgey went out of their way to ensure that you were kept happy. The best customer service and apartments that we have ever stayed in. Than you for all your help. Loved our time at the cottages. We had a lovely stay with our two children who really enjoyed the swimming-pool. Our cottage was large, very clean, very comfortable. 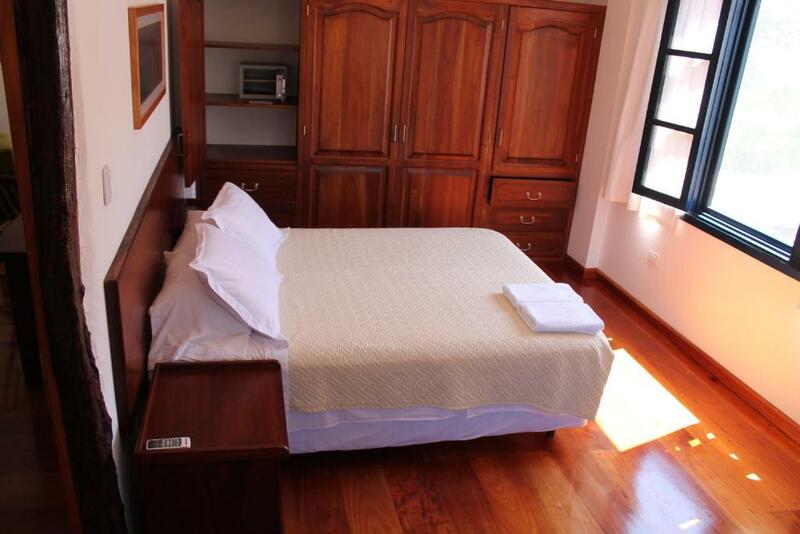 The hotel is located at the edge of the town, when heading towards Tortuga Bay, so it is very quiet but still only 2 minutes away from the center of Puerto Ayora. Our host Charles was very helpful and interesting. Ximena is an amazing host! Extremely friendly and welcoming! I definitely recommend Galapagos Cottages! Excellent location, very clean and comfortable. Ximena was extremely helpful and friendly, and she gave us a lovely welcome of breakfast supplies on arrival. The first floor of the cottage could have been brighter - it seemed a little dark down there with the door closed. It's open air (which has its pluses and minuses) - so the 2nd floor bedroom is really more of a loft (i.e., not a separated room from downstairs) .